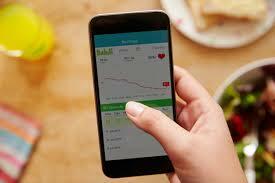 Home » Blog entry » Diagnostics & Treatment – There’s an App for That? With healthcare continuing to focus on patient-centricity, smartphone applications “Apps” are rapidly becoming more prevalent in the diagnosis and treatment of conditions. Currently, there are approximately 325,000 health Apps on the market with consistent increased investment for the past decade. Furthermore, there are Apps that not only focus on wellness and prevention, but also help diagnose unknown symptoms as well as treat/monitor chronic conditions. Also, many capture data from wearable devices, like Fitbits and Apple Watches that inform health habits and behaviors. Consequently, for this new surge of technology to advance value-based care and become mainstream, both clinicians and consumers must be assured that they are both safe and effective. And importantly, personal information is protected. Taking all of this into consideration, what is the best way to ensure accuracy, privacy, and comparative effectiveness? Currently, oversight, as dictated by the U.S. Congress in 1976, is provided by the U.S. Food and Drug Administration (FDA). In the realm of technology, they primarily focus on hardware rather than software because Apps did not exist at the time of the regulative conception. Unfortunately, studies like, Wolf et al. found three out of four smartphone Apps incorrectly diagnosed melanoma as being benign and Yang et al. found many Apps have gaps concerning safety and privacy, thus the FDA’s narrow focus creates opportunities for improvement. To adequately protect the public, there is a dire need for policies to address these diagnostic, treatment, and privacy concerns. Additionally, studies must be conducted to establish App efficacy and provisions for integration with EMRs remains an integral component in allowing consumers and their providers to communicate with each other. Undoubtedly, comparisons between Apps will enable the consumer to discern better what is best for them within the context of the problems they are attempting to solve. Without a doubt, research within this new arena will aid in the delineation between Apps and allow for efficiency and value to be determined. Furthermore, new approaches to how companies will share this information will become equally pertinent. Recently, Bates, Landman, and Levine, in the Journal of the American Medical Association proposed a labeling process that includes a scale model based on the categories of honesty, health information, technical information, security and privacy, ease of use, and popularity rating. Accompanying this information are details on the intention of the App, the projected outcomes, and the criteria required by the consumer. Without a doubt, their methods are worth investigating. Innovation and technology, both hardware and software, will improve health and wellbeing in more ways than we can ever imagine. If we are going to eventually be able to rely on Apps, the research concerning efficacy and regulations must catch up to the innovations. Let us be creative in our oversight of this new frontier for the betterment of all.